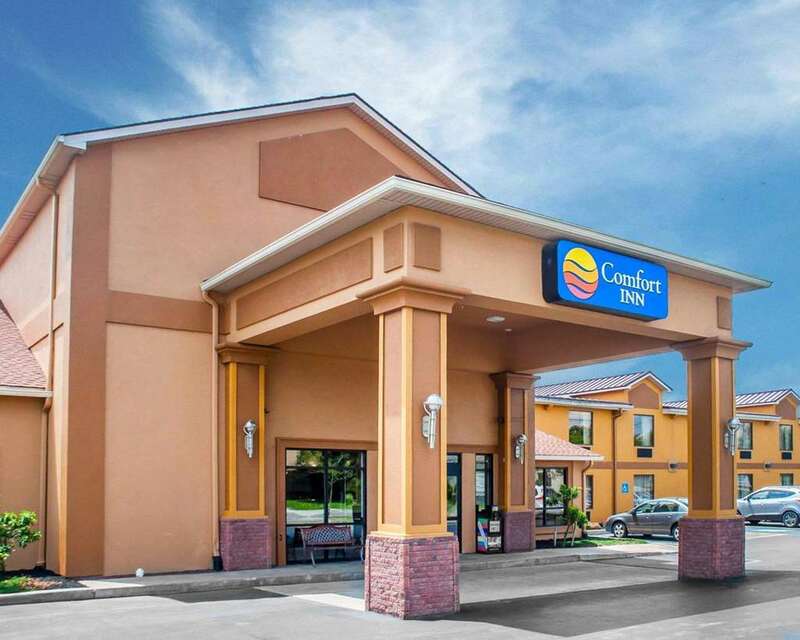 Behind every great day is a great night at the Comfort Inn near Walden Galleria Mall in Cheektowaga, NY. This pet-friendly hotel is near destinations like Niagara Falls, Ralph Wilson Stadium, Niagara International Airport, Buffalo State College and Shea's Performing Arts Center. Enjoy amenities like free hot breakfast, free WiFi, guest laundry facilities, our 60-person meeting room and business center with copy and fax services. Rooms include a flat-screen TV, refrigerator, coffee maker, hair dryer and desk. Also, earn rewards including free nights and gift cards with our Choice Privileges Rewards program. Pet accommodation: 20.00/night per pet. 10.00/night for additional pet. Pet limit: 2 pets/room 50lbs. or less.